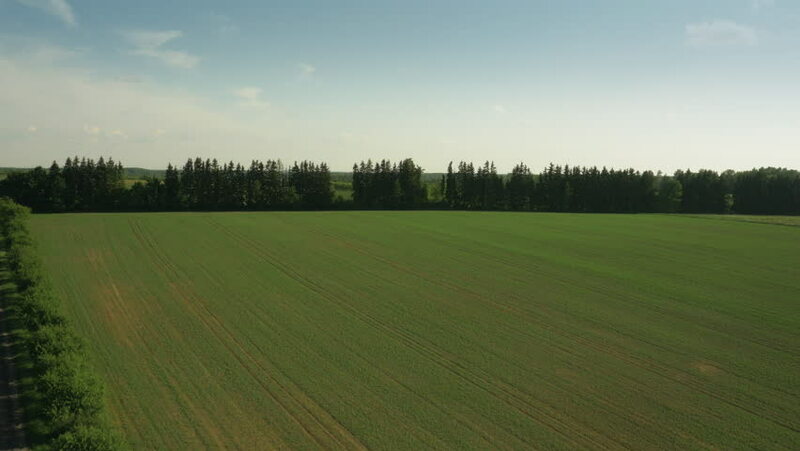 Aerial Shot of Impressive Large Scale Agricultural Fields in Bright Sunny Day. hd00:12Tractor spraying agriculture field on farm in summer. 4k00:24Aerial View. Flying over the beautiful green field to the forest trees. Aerial camera shot. Landscape panorama.